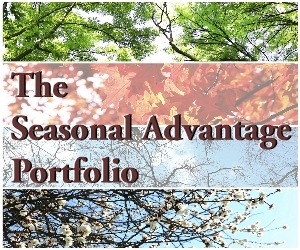 The equity reports published on EquityClock.com are designed to provide an overall perspective of technical, seasonal, fundamental and situational influences on particular stocks trading on the open market. Below are some details and explanations of some of the items that you will find in the equity reports. Analysis pegged at a specified date that details graphically the seasonal tendencies that occur throughout the calendar year using data from the past 20 years (if available). Many charts are pegged at the most recent market close, providing a real-time perspective of the tendencies affecting a stock assuming you had invested today. A breakdown of the of the compounded returns having invested during the period discovered as producing the best return, the best return under the greatest number of profitable periods, and the buy and hold return. Analysis is done over a 10 year range to complement the 20 year chart. Examines the current price in relation to previously identified support and resistance levels. If the price exceeds the support or resistance levels identified, the start of a new trend is a clear possibility. A momentum indicator that shows the relation between a 12 and 26 day moving averages. If price movements cause the shorter, faster moving average to divert away from the longer, slower moving average, it is expected that a pullback will occur to eliminate the divergence. If the MACD is positive (above 0), the short-term price action has exceeded the long term averages, and a price decline might be expected to bring the two averages in-line. And vice versa if MACD is negative. A “trigger” to buy or sell based on the momentum of a security utilizing a 9-day signal line that is shorter and faster than its MACD counterpart. If the signal line crosses the MACD line, this implies that the short term price action is breaking away from longer term price trends. A signal line below MACD suggests buying opportunities, and vice versa if above. A momentum indicator that attempts to explain the relation of up days compared to down days as a number ranging from 0 to 100. An RSI greater than 70 is considered to be overbought, while an RSI less than 30 is considered to be oversold. If a stock is overbought or oversold, a correction may be expected. A momentum indicator that details the relation of the most recent closing price to highs and lows over a given period. The result is a number ranging from 0 to 100 that reveals a stock as being oversold if less than 20 and overbought if greater than 80. A comparative indicator that details the relation of the most recent trend, 50 day moving average, with that of the longer 200 day average. A 50 day stock MA above its 200 day is indication that the investment is trending upwards, and vice versa if below. A performance indicator based upon the investment return over the past year. A Tech Talk created trading range that establishes a high and low value in which the investment trades within given the current trend. Unlike the support and resistance levels, a stock may surpass the critical high or low. The values provide indication of a likely pullback upon crossing these calculated levels. If the price of a stock were to exceed a critical high, based upon a regression analysis, past history has revealed that sellers will exceed buyers at this level causing the price to fall soon thereafter. And vice versa if the stock were to fall below the critical low. A momentum indicator similar to RSI that incorporates trading volumes to compare in-flows and out-flows of an investment over a given period of time. An analytical technique that examines price charts containing high, low, open and close values in a “candlestick”-like format that allow investors, particularly day traders, the ability to examine the extent to which buyers and sellers are moving the price. Analysis of the impact that certain events may have on the price of a stock. If the market buys on the rumor and sells on the news, a situational analysis will reveal the expected impacts, based on past history, to the price of the stock and the way the market reacts to the news as it is released. Consensus Recommendation – The opinion of investment performance going forward from other analysts in the market.